So, once again, I've been remiss in posting for a while. But in my defense it's because the Coffee Queen and I have been cooking up another of our hair-brained schemes. We've decided to move to Florida. When people ask us why, we joke about the weather, of course, and how this last winter finally did us in. It's true that we've reached a point where we're done with the cold, the snow, and needing a half hour to bundle everyone up just to go to Target. But there's more to it than that. We need a new adventure. I know I've been feeling the nudge for some time to take a leap, to step out into the unknown and trust that God will put some kind of solid ground out to meet us. Last week we sold the house, our home of almost ten years. I spent a frantic few days trying to find an affordable moving option and figure out other such details, and one by one they're all clicking into place. 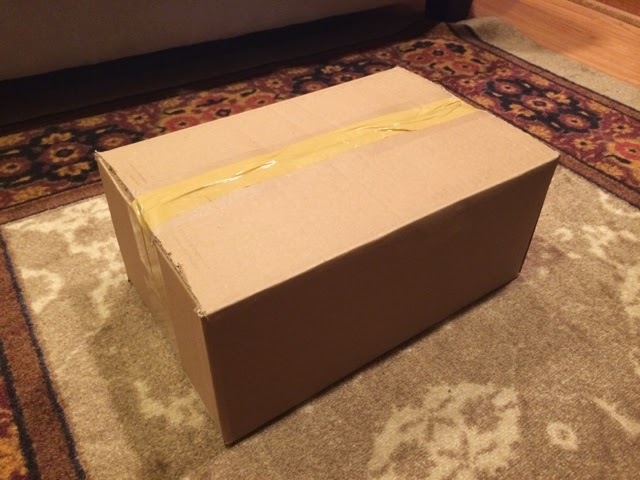 Today I packed the first box. The hardest part of all this has been telling the people we know. It tore my heart out to tell everyone at the writer's workshop, a place I couldn't imagine choosing to leave. There's always a reason to stay, always people left behind when you go, but sometimes you have to let one chapter end in order to start a new one. I don't know quite what this next one will hold, but the Coffee Queen and I both know it's time to take the next step. So here's to new horizons, new opportunities, and to whatever else God throws our way. More posts to come, I promise. As for the Little Scoot, he's excited to be going back to the beach. 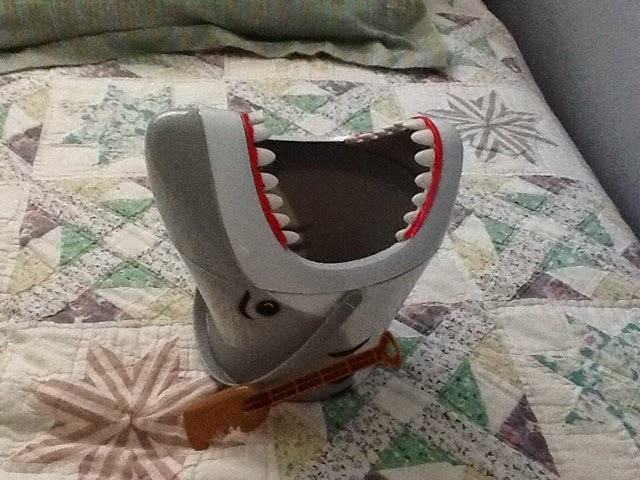 His great-grandfather bought him a shark bucket. Really, what more could a little boy ask for?